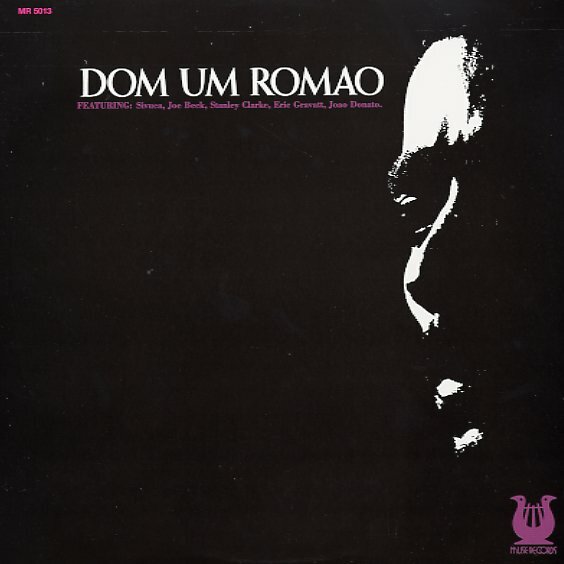 An unbelievably fantastic album, and perhaps the greatest one that Dom Um Romao ever cut! Dom recorded this set in America with a blend of Brazilian and New York musicians – creating an incredible sound that's unlike anything else we can think of – a rich harmony of Brazilian roots and more creative 70s electric instrumentation – filled with complicated shades, tones, and colors! We'd place this record next to the best electric work by David Axelrod, the dopest funk on CTI, and a rare few other jazz funk albums from the 70s – and the whole thing's completely sublime all the way through! Players include Joao Donato on piano, Dom Salvador on Fender Rhodes, Lloyd McNeil on flute, Mauricio Smith on tenor and soprano sax, Sivuca on organ and guitar, and Joe Beck on electric guitar – and titles include the spare spacey groover "Dom's Tune", the lively dancer "Cinnamon Flower", the jazzy "Family Talk", a great version of "Ponteio", and a take on Sivuca's "Adeus Maria Fulo". © 1996-2019, Dusty Groove, Inc.